These OAVs are definitely some of Takahashi Rumiko's best work ever (in the Ranma 1/2 world). There are some really fantastic, hilarious story arcs here and crazy adventures to be had by all. Absolutely some of my favourite episodes and some very touching moments as well. Ukiyo and Kuno fans will be especially happy with these episodes and they present even more depth to this rich and rewarding show! This set also has my favourite music of the Ranma 1/2 universe/franchise with some lovely OP/EDs and nice in-episode songs as well. One of my personal favorite OVA parts of Ranma 1/2. Even though the anime hasn't been completed these OVAS give the viewer more of a softer view of some of the characters. 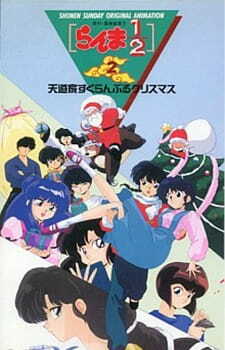 Ranma 1/2 is a comedic martial arts anime. Its characters change forms with hot and cold water, after falling into the cursed springs of Jusenkyo. As a comedy, Ranma 1/2 has plenty of comedic lines, but these 20 are among the most humorous.